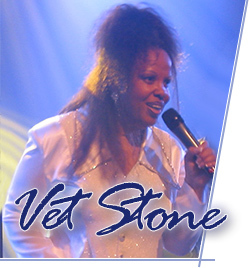 Vet Stone (Vaetta Stewart-Reese) is the youngest sibling in the First Family of Funk. As soon as she was able to grasp it, a tambourine was placed in her hand by mother Alpha Stewart. Rhythm in the Stewart Family she says, was like swallowing. When her siblings did the Hambone, she was doing it too. The Stewart family was heavily involved in the Church of God in Christ. Vet remembers being in Church six nights a week. When she was very young her family formed a Gospel group called the Stewart Four. In the Stewart family archive there is a picture of the Stewart Four. Eldest sister Loretta poised at the piano, fingers at the ready, seemingly taking direction from the Lord Himself. Sylvester looking wise like Solomon, Rose intense, Freddie, even then spiritually dapper. The baby Vaetta has her head cocked to the side, ready to sing. 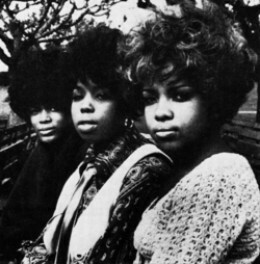 Vaetta "Vet" Stewart's evolution would eventually culminate in the creation of Little Sister, a dynamic trio of women who were an integral part of Sly & The Family Stone’s meteoric rise to the top from the beginning. Little Sister had two Top Ten R&B singles, "You're The One Pt. 1" which reached # 4 on the R&B charts and "Somebody’s Watching You" which reached the #8 position. Vet and her group sang backup vocals on the first Sly & the Family Stone album and predated her sister Rose’s involvement with the group. Little Sister released four singles. They were, "You're The One" Pt. I, "You're The One" Pt. II, "Stanga" and "Somebody's Watching You". The singles were all written, arranged and produced by Sly. 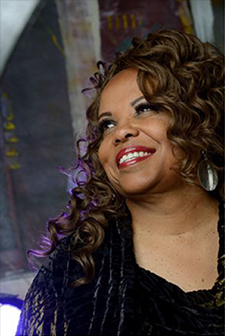 Prior to Little Sister, Vet was recruited into the gospel group, "The Heavenly Tones" of Ephesians Church of God In Christ in Berkeley, California. The other members were Elva Mouton, Mary McCreary and Tramaine Hawkins. Gospel legends James Cleveland, Shirley Caesar and Albertina Walker were mentors of the group. James Cleveland produced their first album on the renowned Savoy label. The "Tones" sang with all the top names in gospel music at the time. In 2007 Vet put together a band with her business partner Skyler Jett and brought her brother Sly back to the performing arena after a twenty-five year absence. The group did 13 successful dates in Europe. 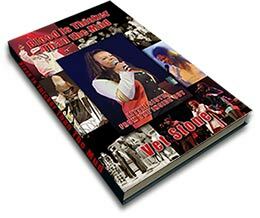 Vaetta has written a book chronicling that experience. Released in 2011, it is titled "Blood Is Thicker Than the Mud; Little Sister From The Inside Out". It can only be purchased here at VetStone.com! Currently Vet is a vital member of Evangelist Temple Fellowship Center in Vallejo, California, Pastored by her brother, Elder Frederick Stewart (Freddie Stone). Formerly the Choir Director, Vet's Music Ministry includes coordinating road dates for Frederick Stewart and also putting together another Family Stone Band Tour.